Move in ready February 2019. This stunning Adorn model features 2 beds. 2.5 baths, living & dining room space, kitchen, unfinished basement & 2 car garage. Included are a gas fireplace, central AC, fully landscaped front & rear yards (+ tree & 6 privacy fence) & deck. The kitchen features gas double ovens, island, walk-in pantry & more. The garage includes a side man door & window. Perfect for entertaining and lives like a single family home. Sold "as is". Come see what makes Lennar stand above other builders. What some consider upgrades, Lennar makes standard. Built with the most innovative, energy efficient technologies and modern conveniences - bringing the best of both worlds together. 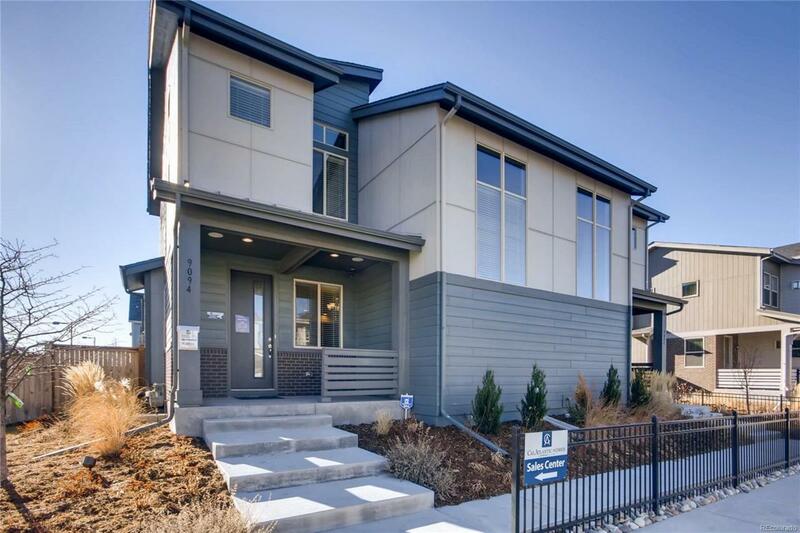 The beautiful Stapleton Beeler Park community is highly sought after and selling out quickly. Close to dining, shopping, entertainment and other amenities including 7 community pools. An easy commute everywhere. Just lock up and go! Dont miss your opportunity.